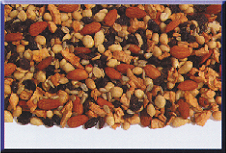 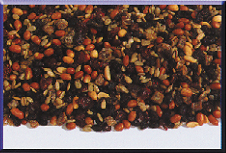 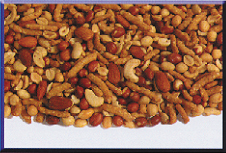 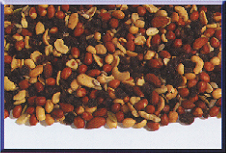 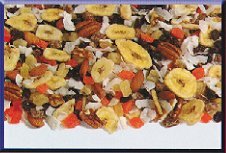 Fresh-roasted cashews, roasted almonds, roasted pecans, salted peanuts, raisins, dried apples, sunflower seeds, blanched peanuts, redskin peanuts, pepetias, pineapple, papaya, dates, coconut, banana chips, raw almonds, walnuts, dried cranberries, Spanish peanuts, honey roasted sesame sticks. 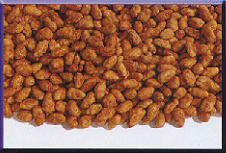 Toffee coated Almonds with that homemade flavor from real butter. 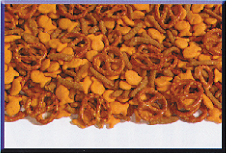 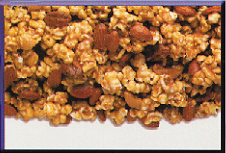 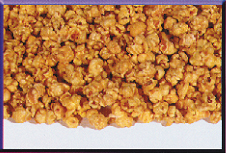 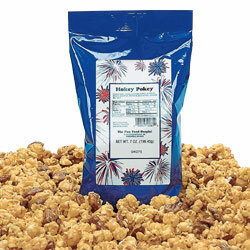 A gourmet Caramel Corn with Popcorn fresh-roasted Cashews, Almonds and Pecans. 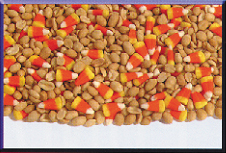 Satisfy both your cravings with fresh-roasted salted Peanuts and sweet Candy Corn.